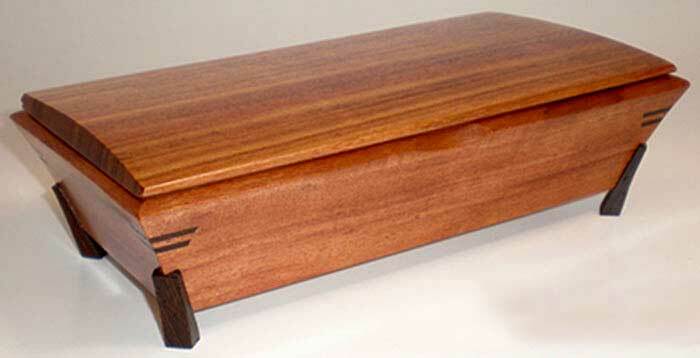 Handmade wooden box by Mikutowski Woodworking in bubinga (shown) with wenge feet and accents. 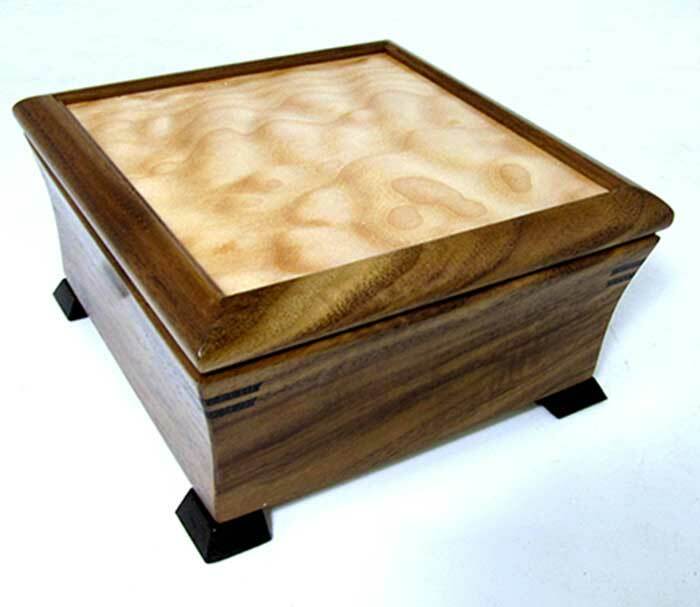 Also available in bubinga, birdseye maple, curly maple, cherry, purpleheart and Bolivian rosewood. This delightful box finds its roots in the architecture of the Far East and has many uses, including holding tea bags. Size: 9.5" x 5.125" x 2.625"